Match ends, Vitesse 4, SC Cambuur Leeuwarden 1. Second Half ends, Vitesse 4, SC Cambuur Leeuwarden 1. Attempt blocked. Bartholomew Ogbeche (SC Cambuur Leeuwarden) right footed shot from outside the box is blocked. Assisted by Valmir Berisha. Goal! 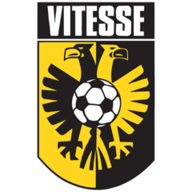 Vitesse 4, SC Cambuur Leeuwarden 1. Dominic Solanke (Vitesse) right footed shot from outside the box to the bottom left corner. Assisted by Rochdi Achenteh. Attempt missed. Isaiah Brown (Vitesse) right footed shot from outside the box is high and wide to the right. Assisted by Rochdi Achenteh. Attempt blocked. Kevin Diks (Vitesse) right footed shot from outside the box is blocked. Assisted by Renato Ibarra. Attempt missed. Valeri Qazaishvili (Vitesse) right footed shot from the centre of the box is close, but misses to the left. Assisted by Marvelous Nakamba. Substitution, Vitesse. Isaiah Brown replaces Milot Rashica. Foul by Calvin Mac-Intosch (SC Cambuur Leeuwarden). Renato Ibarra (Vitesse) wins a free kick in the defensive half. Goal! Vitesse 3, SC Cambuur Leeuwarden 1. Guram Kashia (Vitesse) header from very close range to the bottom right corner following a corner. Corner, Vitesse. Conceded by Marvin Peersman. Attempt saved. Valeri Qazaishvili (Vitesse) right footed shot from the centre of the box is saved in the centre of the goal. Offside, Vitesse. Rochdi Achenteh tries a through ball, but Renato Ibarra is caught offside. Marvin Peersman (SC Cambuur Leeuwarden) is shown the yellow card for a bad foul. Foul by Marvin Peersman (SC Cambuur Leeuwarden). Milot Rashica (Vitesse) wins a free kick in the attacking half. Arnold Kruiswijk (Vitesse) is shown the yellow card for a bad foul. Erik Bakker (SC Cambuur Leeuwarden) wins a free kick on the right wing. Corner, Vitesse. Conceded by Wessel Dammers. Attempt blocked. Renato Ibarra (Vitesse) right footed shot from the centre of the box is blocked. Assisted by Lewis Baker with a cross. Substitution, SC Cambuur Leeuwarden. Mikhail Rosheuvel replaces Sjoerd Overgoor. Furdjel Narsingh (SC Cambuur Leeuwarden) wins a free kick in the defensive half. Foul by Rochdi Achenteh (Vitesse). Substitution, Vitesse. Dominic Solanke replaces Abiola Dauda. Attempt missed. Renato Ibarra (Vitesse) right footed shot from the left side of the six yard box is close, but misses to the right. Assisted by Lewis Baker. Delay in match Arnold Kruiswijk (Vitesse) because of an injury. Delay in match Sander van de Streek (SC Cambuur Leeuwarden) because of an injury. Sander van de Streek (SC Cambuur Leeuwarden) wins a free kick in the attacking half. Foul by Kai Heerings (SC Cambuur Leeuwarden). Arnold Kruiswijk (Vitesse) wins a free kick in the defensive half. Offside, Vitesse. Kevin Diks tries a through ball, but Abiola Dauda is caught offside. Substitution, Vitesse. Renato Ibarra replaces Nathan. Penalty missed! Still Vitesse 2, SC Cambuur Leeuwarden 1. Lewis Baker (Vitesse) hits the bar with a right footed shot. Kai Heerings (SC Cambuur Leeuwarden) is shown the yellow card for a bad foul. Penalty conceded by Kai Heerings (SC Cambuur Leeuwarden) after a foul in the penalty area. Penalty Vitesse. Lewis Baker draws a foul in the penalty area. Abiola Dauda (Vitesse) wins a free kick in the attacking half. Wessel Dammers (SC Cambuur Leeuwarden) wins a free kick on the right wing. Foul by Abiola Dauda (Vitesse). Substitution, SC Cambuur Leeuwarden. Valmir Berisha replaces Xander Houtkoop. Offside, Vitesse. Lewis Baker tries a through ball, but Valeri Qazaishvili is caught offside. Harm Zeinstra (SC Cambuur Leeuwarden) wins a free kick in the defensive half. Corner, Vitesse. Conceded by Harm Zeinstra. Attempt saved. Nathan (Vitesse) right footed shot from outside the box is saved in the bottom right corner. Assisted by Valeri Qazaishvili. Offside, Vitesse. Valeri Qazaishvili tries a through ball, but Abiola Dauda is caught offside. Foul by Sjoerd Overgoor (SC Cambuur Leeuwarden). Nathan (Vitesse) wins a free kick on the left wing. Foul by Bartholomew Ogbeche (SC Cambuur Leeuwarden). Second Half begins Vitesse 2, SC Cambuur Leeuwarden 1. Substitution, SC Cambuur Leeuwarden. Harm Zeinstra replaces Leonard Nienhuis because of an injury. First Half ends, Vitesse 2, SC Cambuur Leeuwarden 1. Attempt missed. Rochdi Achenteh (Vitesse) left footed shot from outside the box is close, but misses to the right. Attempt blocked. Abiola Dauda (Vitesse) right footed shot from the centre of the box is blocked. Assisted by Rochdi Achenteh. Attempt blocked. Bartholomew Ogbeche (SC Cambuur Leeuwarden) right footed shot from outside the box is blocked. Assisted by Furdjel Narsingh. Sjoerd Overgoor (SC Cambuur Leeuwarden) wins a free kick in the defensive half. Corner, Vitesse. Conceded by Xander Houtkoop. Goal! Vitesse 2, SC Cambuur Leeuwarden 1. Abiola Dauda (Vitesse) right footed shot from very close range to the top right corner. Attempt saved. Milot Rashica (Vitesse) left footed shot from the right side of the box is saved in the bottom right corner. Assisted by Guram Kashia. Calvin Mac-Intosch (SC Cambuur Leeuwarden) wins a free kick in the defensive half. Goal! Vitesse 1, SC Cambuur Leeuwarden 1. Sander van de Streek (SC Cambuur Leeuwarden) right footed shot from outside the box to the top left corner. Assisted by Calvin Mac-Intosch with a cross. Furdjel Narsingh (SC Cambuur Leeuwarden) wins a free kick on the right wing. Marvin Peersman (SC Cambuur Leeuwarden) wins a free kick on the left wing. 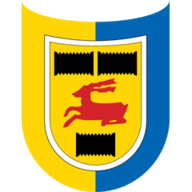 Corner, SC Cambuur Leeuwarden. Conceded by Arnold Kruiswijk. Attempt blocked. Sander van de Streek (SC Cambuur Leeuwarden) left footed shot from outside the box is blocked. Assisted by Bartholomew Ogbeche with a headed pass. Attempt missed. Bartholomew Ogbeche (SC Cambuur Leeuwarden) header from the centre of the box misses to the left. Assisted by Sjoerd Overgoor with a cross following a corner. Corner, SC Cambuur Leeuwarden. Conceded by Kevin Diks. Kevin Diks (Vitesse) is shown the yellow card for a bad foul. Xander Houtkoop (SC Cambuur Leeuwarden) wins a free kick on the left wing. Attempt missed. Lewis Baker (Vitesse) right footed shot from outside the box is close, but misses to the left from a direct free kick. Erik Bakker (SC Cambuur Leeuwarden) wins a free kick in the defensive half. Corner, Vitesse. Conceded by Sander van de Streek. Attempt blocked. Kevin Diks (Vitesse) left footed shot from the left side of the box is blocked. Assisted by Lewis Baker with a cross. Goal! Vitesse 1, SC Cambuur Leeuwarden 0. Lewis Baker (Vitesse) converts the penalty with a right footed shot to the bottom right corner. Calvin Mac-Intosch (SC Cambuur Leeuwarden) is shown the yellow card for a bad foul. Penalty Vitesse. Nathan draws a foul in the penalty area. Penalty conceded by Calvin Mac-Intosch (SC Cambuur Leeuwarden) after a foul in the penalty area. Foul by Lewis Baker (Vitesse). Sander van de Streek (SC Cambuur Leeuwarden) wins a free kick in the defensive half.